This story is alternately funny, heartbreaking, and very sweet. Reese is an entitled music star who moves home to care for his grandfather – and falls hard for Jude, his grandfather’s carer. Reese’s grandfather is a wonderful character. He’s a lifelong musician with a Rat Pack past, a foul mouth, and a fondness for talking about his balls. I have to admit that I was a little bit #metoo squeamish at the start of this story. Reese is a wealthy, successful musician making moves on his employee, a young nursing assistant who is sleeping in his car because he can’t afford to rent a room. The power imbalance is disconcerting and as we see more from Reese’s perspective at the start, it is difficult to know how Jude really feels about Reese. Fortunately, Jude comes into himself as the story progresses and I was eventually able to accept the two men as partners. I really came to love both Reese and Jude, but Jude’s caregiver role continued to be an issue for me as Reese does seem to expect an awful lot of looking after. The story is pretty low heat, but there are some sweet moments between Reese and Jude. Jude’s complicated relationships with his family members is as heartbreaking as Reese’s grandfather’s slow slide into his Alzheimer's. I found the insights into the Filipino community interesting, but I do wonder if Jude is a little bit too much of a cultural stereotype at times. I loved the music that binds grandfather and grandson. Reese’s passion for his writing and composition is wonderful and I loved Tony, his writing partner. Once upon a time… a teacher, tattoo collector, mom, and rock ’n’ roll kinda gal opened up a doc and started purging her demons. Several self-published books and a debut gay romance with Dreamspinner Press later, R.L. MERRILL is still striving to find that perfect balance between real life and happily ever after. She writes stories set in the places she loves most—Hollywood, New Orleans, Las Vegas, Northern California, and Iowa. Ro also loves connecting with other authors online, at the annual Romantic Times Booklovers Convention, and chapter meetings for the Romance Writers of America—she’s been a member since 2014. A sucker for underdogs, Ro has adopted a wide variety of pets, including cats, dogs, rats, snakes, fish, and a chameleon named Godzilla. Her love of horror is evident the moment you walk in her door and find yourself surrounded by decorative skulls and quirky artwork from around the world. You can find her lurking on social media, where she loves connecting with readers, or educating America’s youth, being a mom taxi to two busy kids, sitting in the tattoo chair desperately trying to get that back piece finished, or head-banging at a rock show near her home in the San Francisco Bay Area. 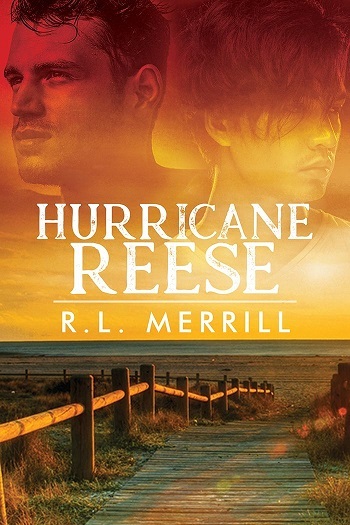 Reviewers on the Wicked Reads Review Team were provided a free copy of Hurricane Reese by R.L. Merrill to read and review.